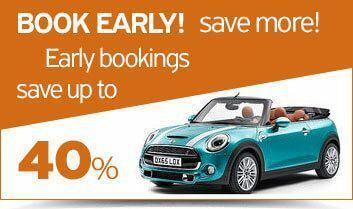 Santorini Holiday Cars offers a wide range of vehicles giving you the option to choose from the flexibility of a small car as the comfort of a larger car. 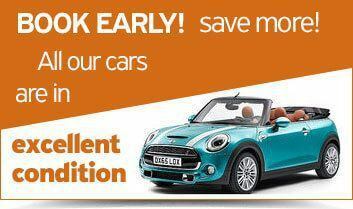 Enjoy one of the most modern Santorini Car Rental models of cars available. 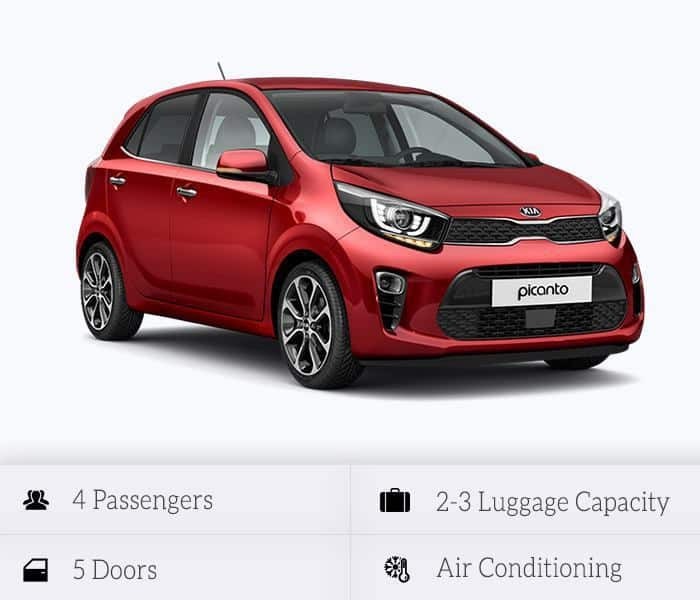 Kia Picanto has a smart design, ready to play, while impressive exterior design with stylish headlights and upgraded interior will leave you perfectly satisfied. 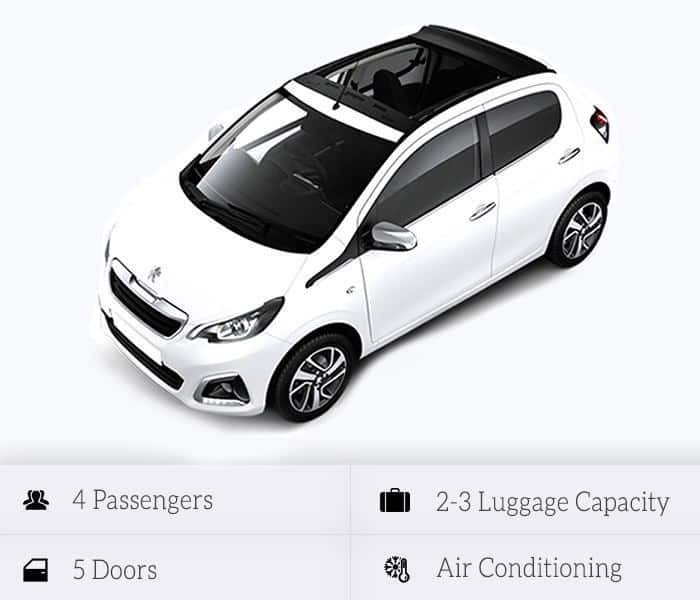 Comfortable, clever and designed to keep you safe, it gives you the ability to get the most out of every trip with the largest luggage compartment in its class to make it easy and comfortable to carry on your daily excursions to Santorini. 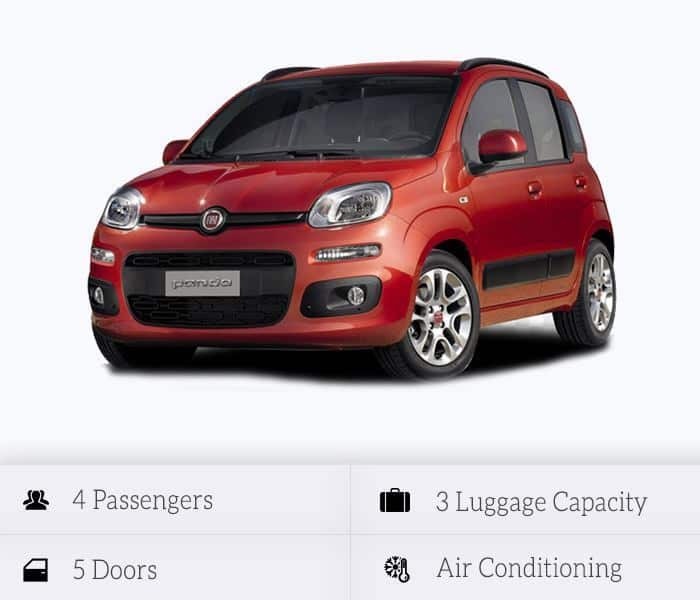 Fiat Panda is a genuine, smart and stunning car. Over the years, he knows how to evolve by adding features to each new version while remaining authentic. Spacious and technologically sophisticated with a new style but always in the same spirit of comfort and flexibility as one of the main choices for your Santorini routes. 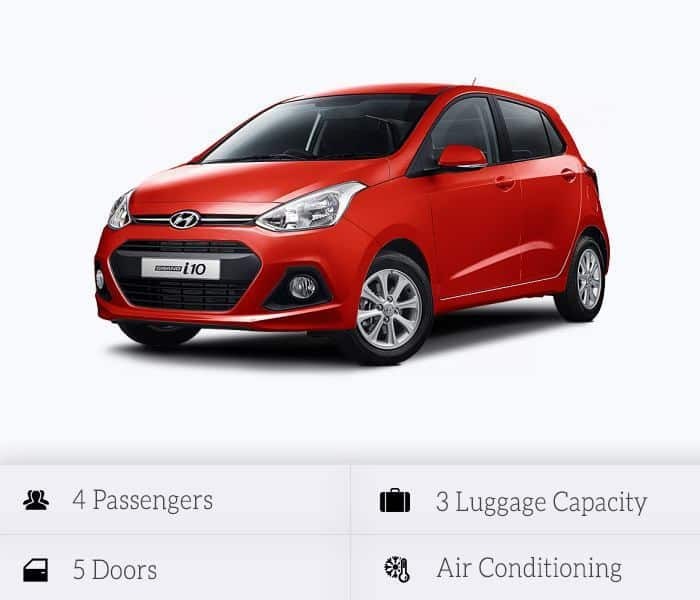 Hyundai I-10 is just the way you want it. Impressive, sporty and confident. With its bold and expressive design, the i10 is uniquely stylish and is the top in its class in passenger spaces, but it also boasts one of the largest luggage compartments! The i10 has 40 liters of luggage than the average of the class. With low fuel consumption and even lower pollutant emissions, the Nissan Micra is the right choice to navigate Santorini in style and technology. 5-seater and a large luggage compartment for its class, will leave you completely satisfied with its comfort, economy and performance. 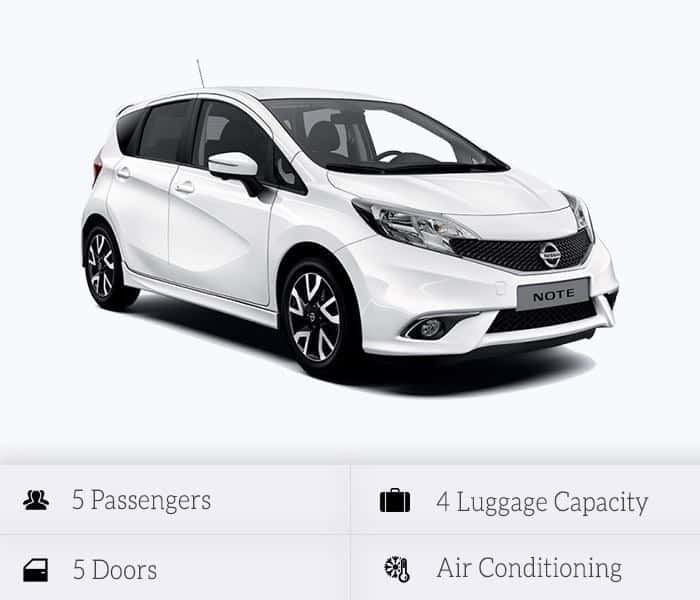 Nissan Note is a combination of a small hatchback and a MPV. Thanks to its raised seat and its shape, it is spacious and compact. The rear seat and the luggage compartment layout offer an MPV versatility and is a great choice for your excursions in Santorini. Skoda Citigo is small outside for ease and flexibility in traveling while great interior for whatever you need! With new modern look and features, it is ideal for your daily routes to Santorini, either to explore the beaches of the island or to see its many attractions. 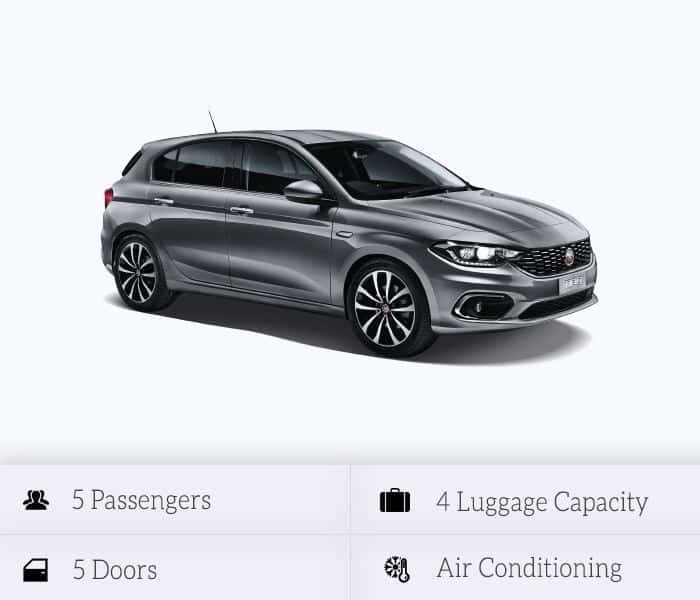 Fiat Tipo’s stylish, spacious, comfortable lounge, which features a modern style that surpasses all expectations. With a big trunk, he is the leader in his class with regard to available space and comfort. Practical and compact, it is a first-class choice for your trips to Santorini. Absolutely summer, with an attractive and distinctive design, the Peugeot 108 cabrio is original and just what you need for a holiday season! A unique choice for your Santorini routes will offer unforgettable moments of comfort. 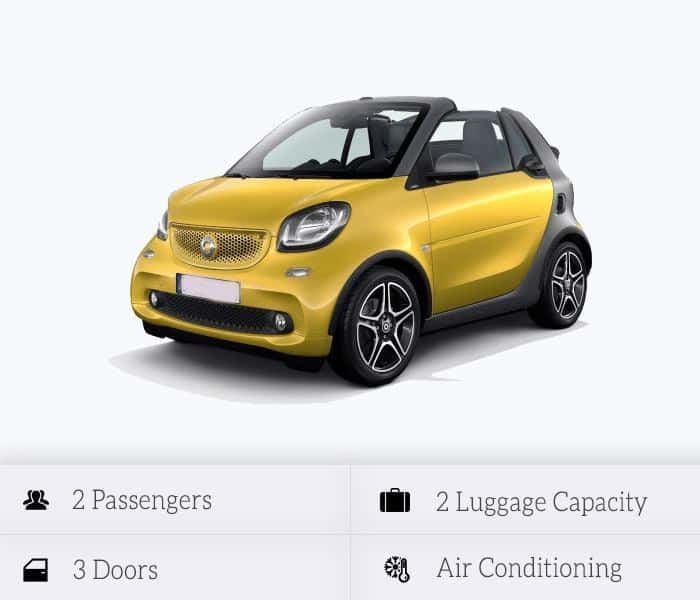 Smart Fortwo is the pioneer of its class and is the perfect car for fast and flexible travel in Santorini. 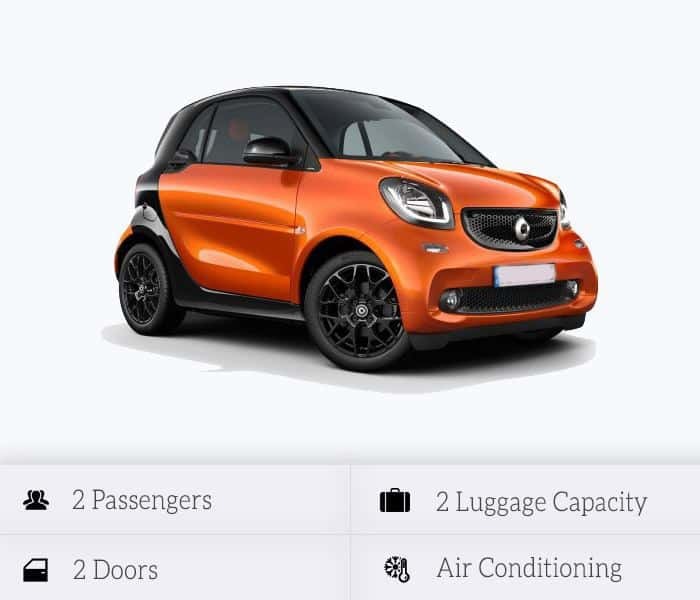 With the Smart Fortwo you do not need to be deprived of anything, but you will experience more enjoyment than ever before: the unique driving pleasure that offers you. To enjoy Santorini quietly with the Smart Cabrio, it is a totally unique experience. Unobstructed free and comfortable offers autonomy for all your daily routes on the island with many unique features. 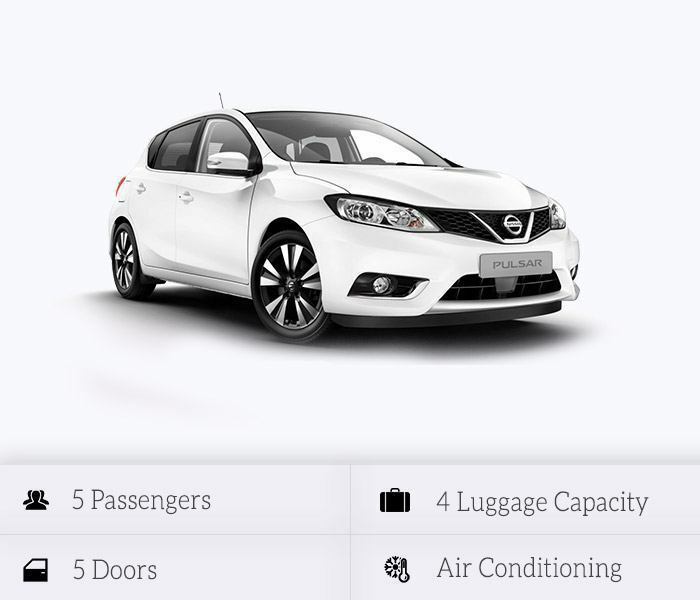 Nissan Pulsar means unsurpassed technology, impressive style and innovative spaciousness. 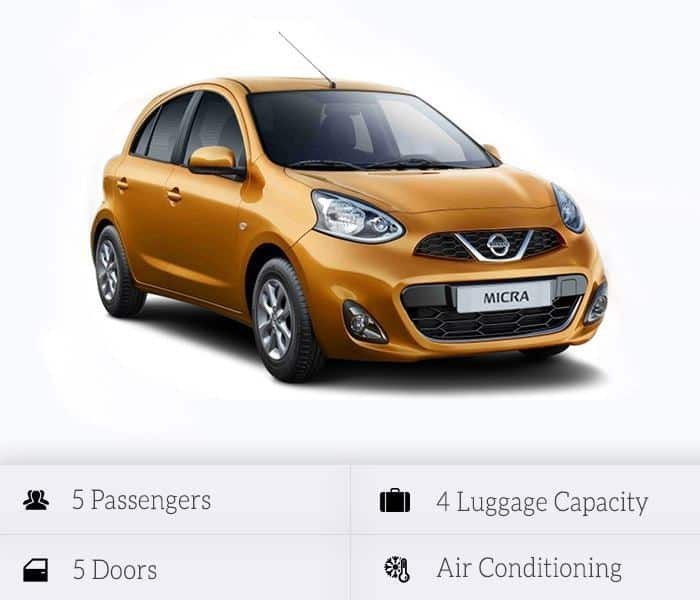 It can keep pace with Santorini’s pace and holidays and has the security and performance features that each driver needs. Enjoy the sun and the blue sky of Santorini, as you explore its picturesque villages. 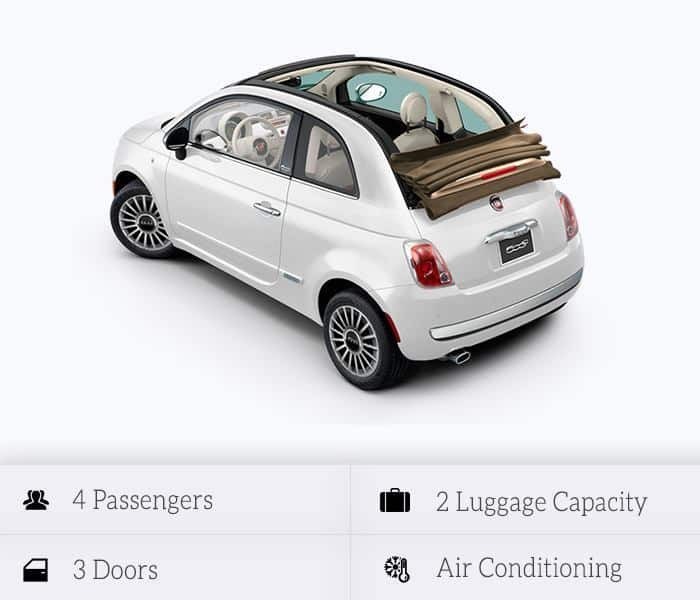 More stunning and seductive the Fiat 500cc Cabrio, it is the irresistible little convertible. 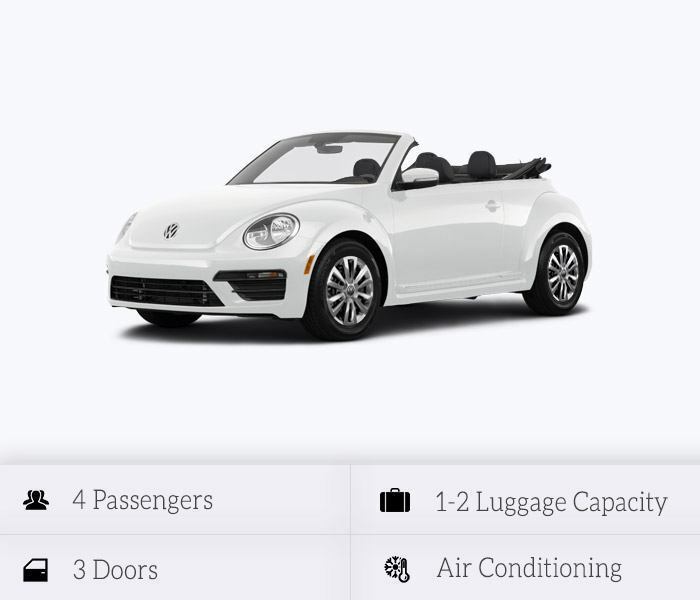 VW Beetle remains faithful to its remarkable design with its numerous choices and features. Featuring 4 passengers, the 3-door VW Beetle Vintage Cabrio blends harmoniously with the unique scenery of Santorini, offering unforgettable trips to the island! 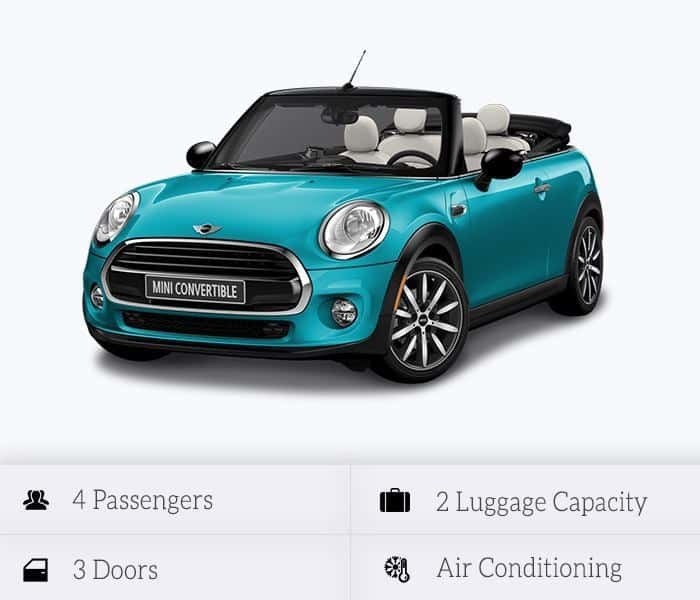 Mini Cooper Convertible, more spacious than ever, with a high aesthetics interior and the ultimate freedom of the open roof, will make you feel the beauty of Santorini on your daily excursions to the island. 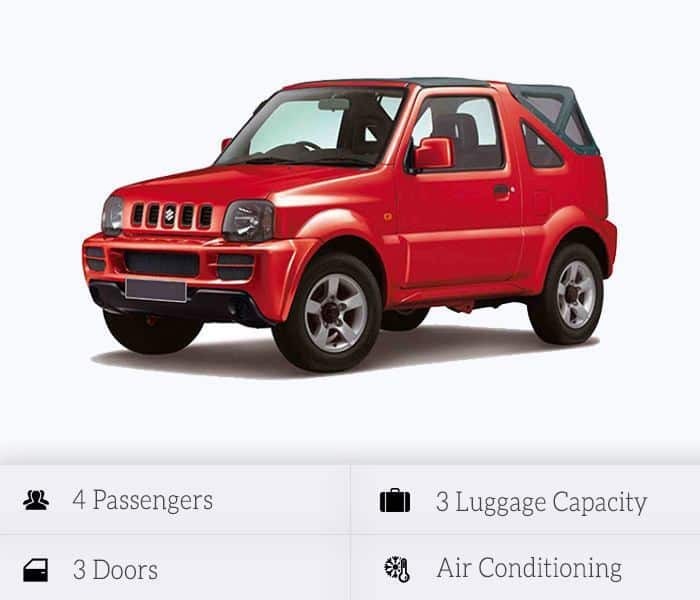 Suzuki Jimny Cabrio, with the absence of the metal roof and the necessary bar for passenger protection, offers absolute safety while traveling, while giving you the opportunity to follow more difficult routes from a conventional car. 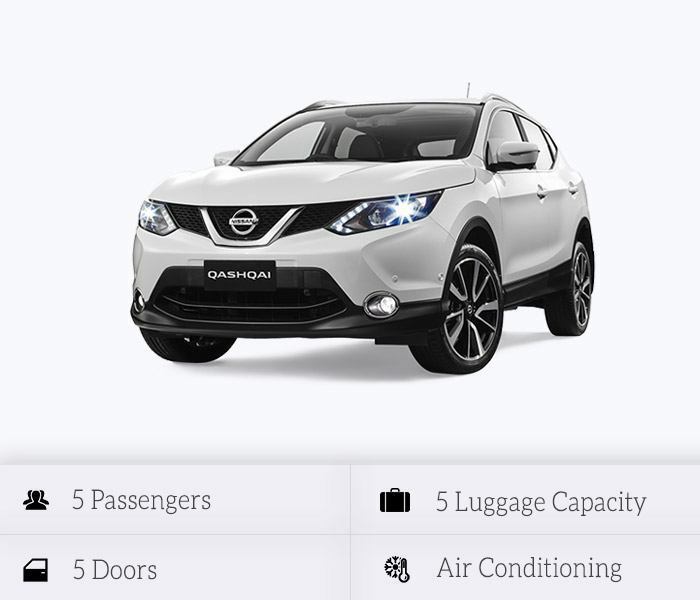 Nissan Qashqai, the ultimate urban Crossover, with 5 seats, intelligent and sophisticated design combines exceptional looks with efficient aerodynamics, delivering top quality driving. The absolute choice of car for unique and stylish trips in Santorini! 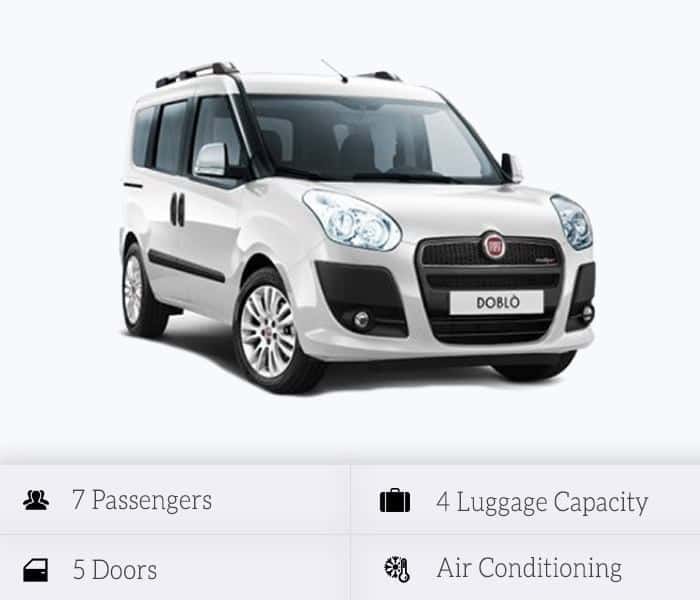 Spacious, flexible and powerful, the Fiat Doblo is the essential choice for the family or group trips, with the comfort, safety and space available. Choose it now, and let it drive you on Santorini! 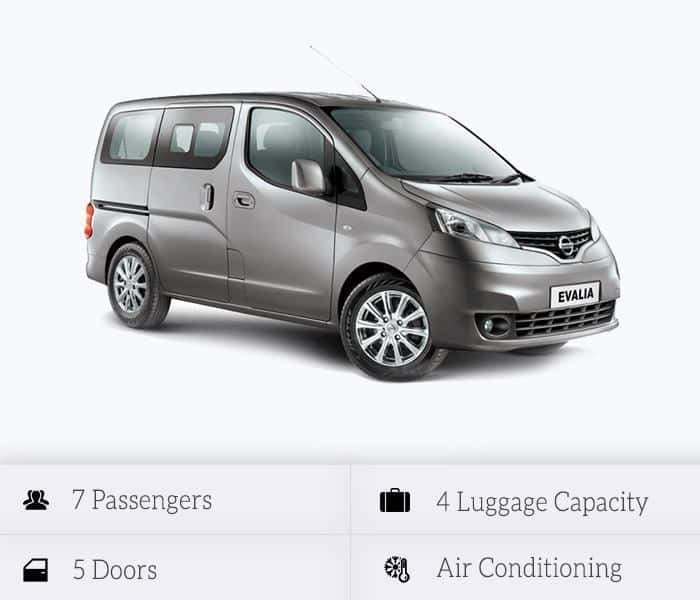 Compact, flexible and fully equipped with up to seven passengers, the Nissan Evalia is the perfect car for you and your family during your Santorini vacation.